Address: 23925 S. Bumble Bee Rd. 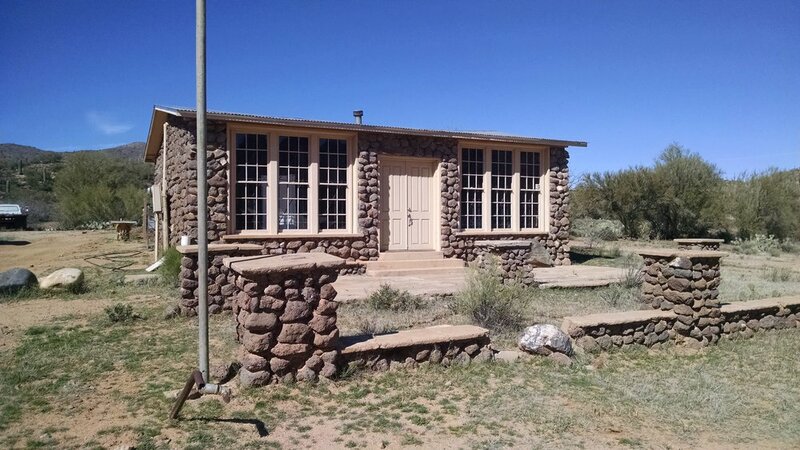 We are 50 miles north of Phoenix and 100 miles south of Flagstaff. 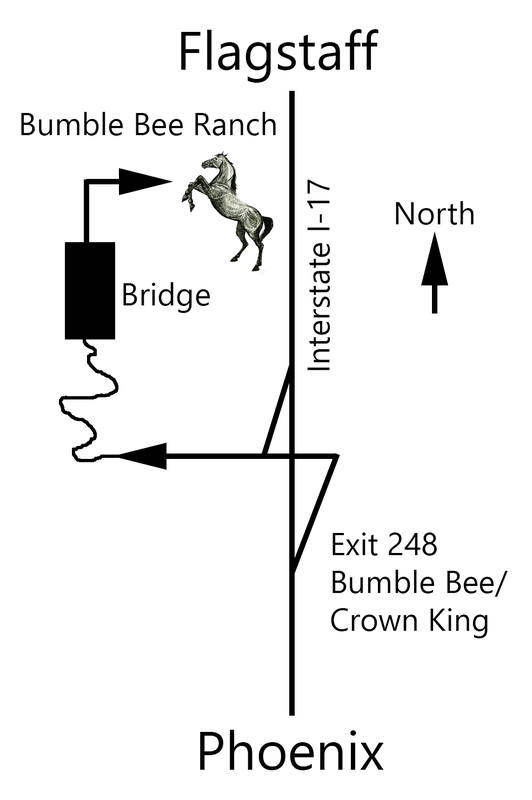 Take Interstate I-17 to Exit 248 (Bumble Bee/Crown King). From Phoenix, turn left at the stop sign. From Flagstaff turn right at the stop sign. You will follow the road for 4 miles. It is part paved and part dirt. There are no signs of civilization. After mile marker 4 you will cross over a small bridge. There is a tree line that starts on the right hand side. Follow that tree line. Once the tree line ends, you will be at the ranch entrance. The ranch entrance is a 1/4 mile past the bridge on the right. If you see any signs of civilization you have gone too far by a 1/4 mile. You are in the town of Bumble Bee (5 cabins, an old saloon and two houses). Turn around. The ranch entrance is between mile marker 4 and 5. Once in the ranch, head to the OFFICE. Whew! You made it!